Protect your investment in your tank. Order Opt's 1, 2,A & 3 & receive up to $150 Insurance if you ruin our USA MADE Great White carbon fiber cylinder. MADE IN THE USA!!!! Let's keep Americans employed! 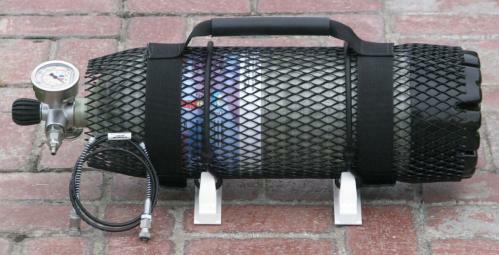 The Great White will fill a Marauder 63x from 2000 PSI up to 3000 PSI, Our Mid-size Tiger Shark 47x. Most people opt for the Great White, figuring the $90 increase is worth 1/3 more fills, but its good for those that want a lighter tank than a GW to fill their PCP air gun or paintball gun. 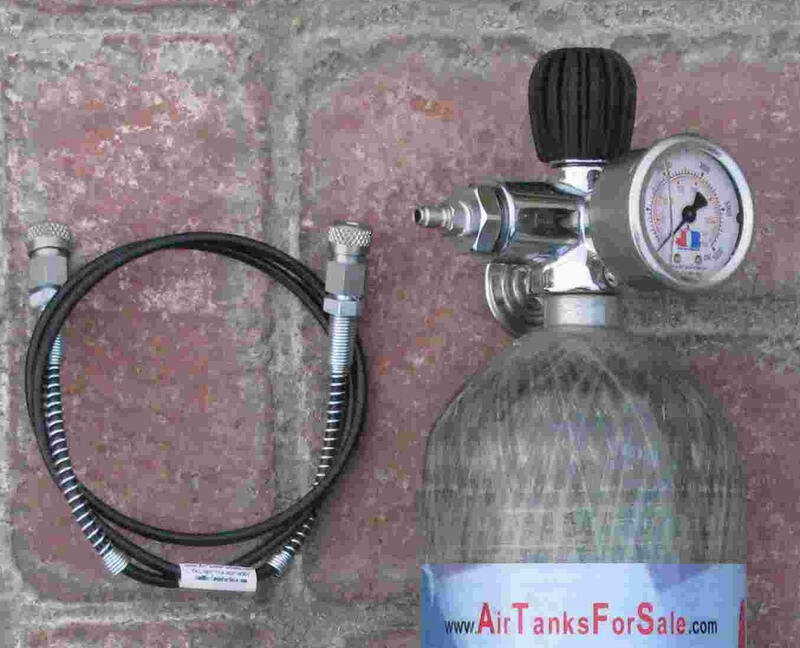 All of our tanks can be filled via a SCUBA Shop. (And a Paintball show with Opt 2a). Easier & SAFER to SLOWLY fill your PCP Airgun because EVERY TJ3 is measured by hand for airflow prior to ship. We use a Marauder as a sample, and adjust for about 5-10 second to fill it from 2000 PSI to 3000 PSI with the TJ3 valve WIDE OPEN. This is plenty of time for you to shut off the valve. Do this with most any other valves, and the airgun would over-presssurise (and possibley be ruined) in a fraction of a second. You can reverse fill our tanks quickly through the hose if you wish, Ex via a Shoebox. 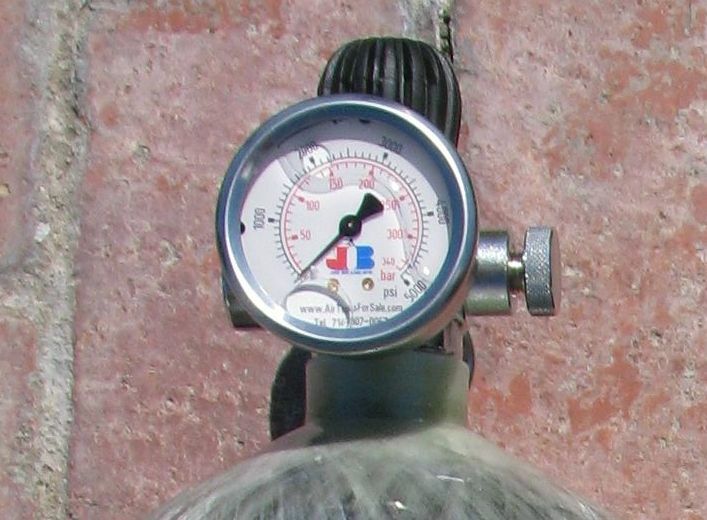 Other restrictors in the hose not prevent filling through the hose, but act as a partial "Dead-Head" and give a false reading for the output gauge. We include the Stainless Steel Foster Quick Disconnect free, even in our basic package (no hidden charges). We offer 3 options (and 100% of our customer purchase these 3 options). No large wrench needed to carry with you to add, or remove, the hose from the tank. In addition to a SCUBA shop, the tank can now be filled at any store thaf fills paintball tanks. Opt 3) Full Armor - Protect your investment, Why let a large scratch void your tank? 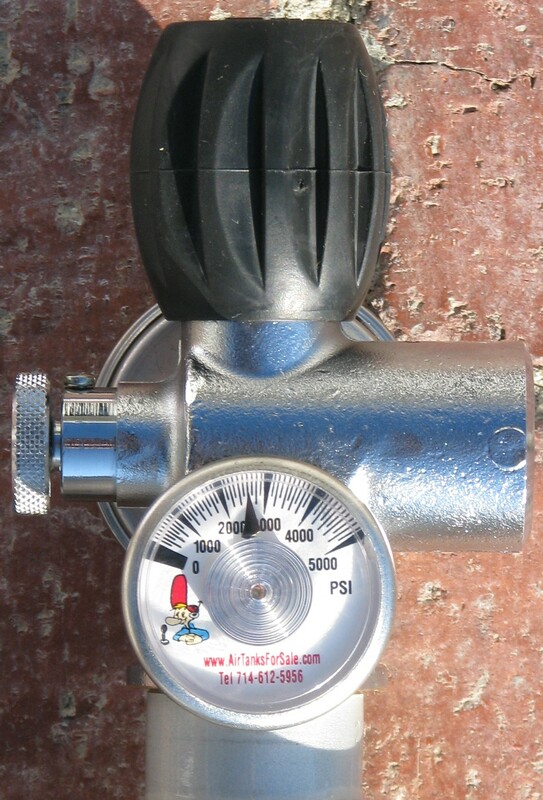 Boot - In addition to protecting the bottom of the tank, this allows the tank to stand up, and allows you to more easily view the main gauge while your filling your PCP Airgun or paintball tank. Tank Protector - Further protection for your investment. Special ExpertHPA Offer. Purchase Options 1, 2A & 3 and get up to $150 insurance on your Great White Carbon Fiber Cylinder. I started this business selling only hoses and eventually tanks for PCP Airguns. My focus has always been high pressure air. I was an Engineer/Physicist for over 25 years. I make sure I design and manufacture the best PERIOD, and at no greater cost to you. I work hard at selling the best possible product, at the same price as my competition selling Asian items. When you call our line, often I willl personally answer the phone, and if not, it will be A REAL HUMAN BEING, not an answering machine or hold music. I will guarantee to have the best price and quality, and do it with an AMERICAN tank. Why pay more for less? That is the reason we are a supplier to Crosman, ShoeBox Compressors, the miltary, colleges, many research & development and others.